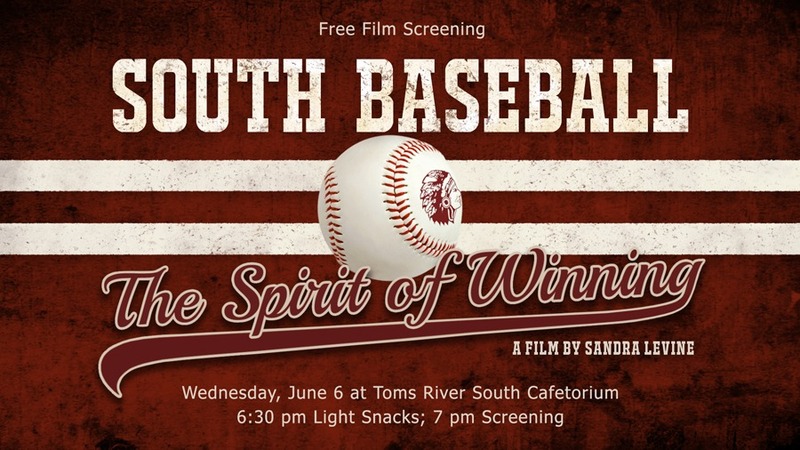 May 17, 2018-- The Toms River South Diamond Club will present a free screening of South Baseball - The Spirit of Winning, Wednesday, June 6 in the Cafetorium. Light snacks at 6:30 p.m.; screening at 7 pm. The film tells the story of New Jersey’s winningest baseball coach, Toms River South's own Coach Ken Frank, and the sport that put Toms River on the map. Produced by Toms River South alumna Sandra Levine, the one-hour film covers highlights of the past 40 years of Hitting Indians Baseball, and also incorporates the amazing story of South graduate Todd Frazier - from Little League World Series Champion to Major Leaguer. Be sure to come to the HSS Cafetorium June 6 for this very special event.